In 1955, Corona Schools opened their doors to children with a vision to provide world class education designed to empower them to fulfill their potential. Over 6 decades later, they are still delivering on their promise with a focus on raising the total child. 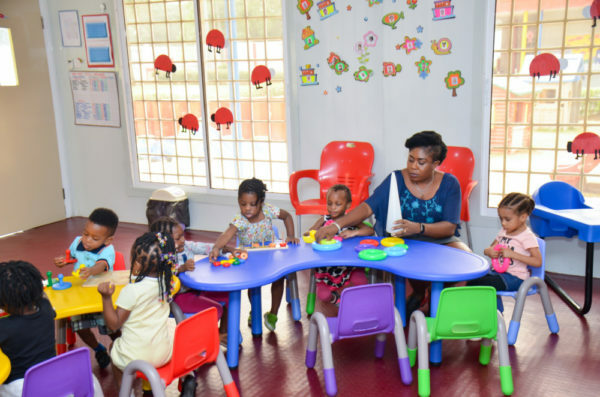 What started off as a modest idea to serve as a small international school for children has evolved into one of Nigeria’s most respected institutions of learning at the Creche, Playschool, Nursery, Primary, Secondary and Tertiary levels. Over the years, the pupils of Corona Schools have become trailblazers making their mark in Nigeria and around the world. 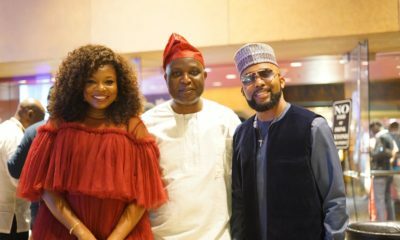 Some of their notable alumni include Prof Yemi Osinbajo, Dolapo Osinbajo, Jimi Agbaje, Tonye Patrick Cole, TY Bello, Adesua Etomi, Dakore Akande, Teju Baby Face, Lynx, Morayo Brown, Kemi Adetiba, Lekan Bakare, Foluso Gbadamosi and many more. 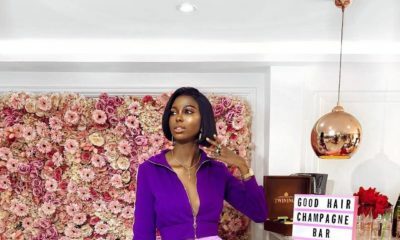 Corona Schools are located in the following areas for easy access: Apapa, Lekki, Victoria Island, Ikoyi (Mobolaji Johnson and Mekwuen road), Gbagada, and a Secondary School in Agbara. 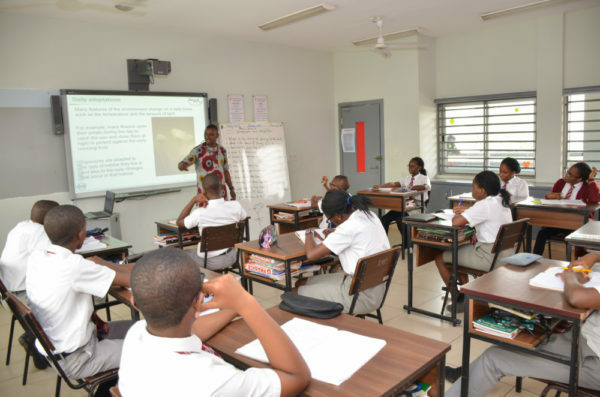 At the tertiary level, they also have the fully accredited Corona College of Education (CCED). With six schools across Lagos and a secondary school in Ogun State, they are well positioned and accessible to your children. 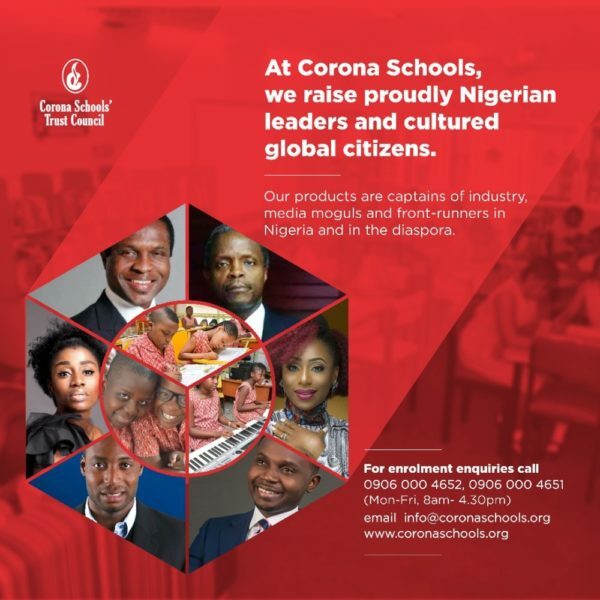 In order to maintain a world-class standard, Corona Schools is affiliated to the following bodies: Council of British International Schools (COBIS), Association of International Schools in Africa (AISA), Association of International Educators of Nigeria (AISEN), Cambridge International Examinations, New England Association of Schools & Colleges (NEASC). The primary school curriculum is further enhanced and enriched by the International Primary Curriculum (IPC). A new session starts in September and they will love to have your child join them. Take advantage of this opportunity and register your child today. For enrolment information and enquiries, please call 09060004651 or 0906004652 between 8:30 am and 4:30 pm on weekdays. You can also email them at [email protected] or visit our website. Way to go Corona!!! Undiluted standards for over 6 decades!!! So so proud to be an alumni!!!! I wonder how much the fees are now. 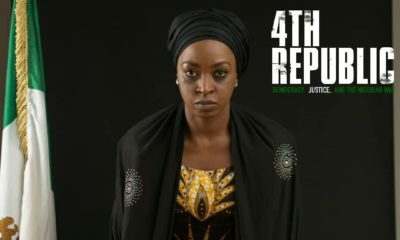 When i left i think it was N500/term, that was a lot of money back then. 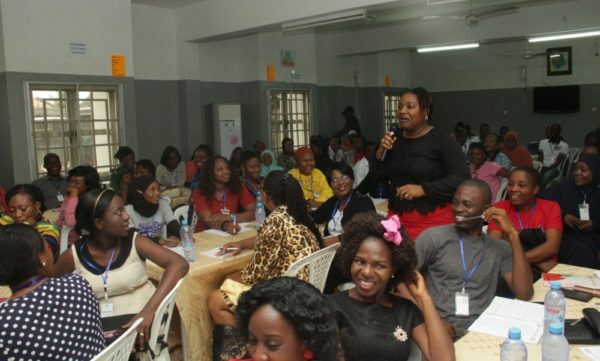 The fees are moderate and are quite affordable considering the quality of education provided and above all, the comprehensivemission statement of this educational institution which is the driving force of every member of staff. Corona Schools have passed the tests of times. 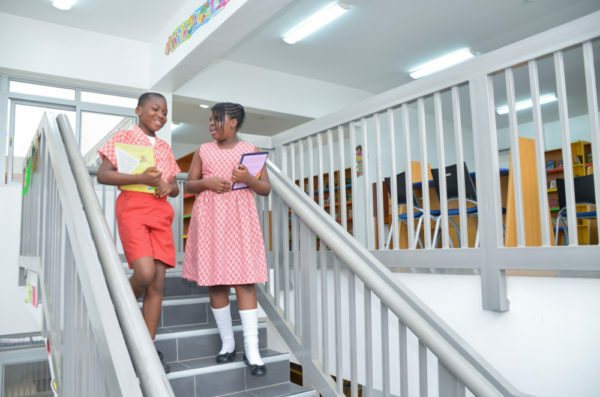 At three scores and three you cannot expect any less from an outstanding and proudly Nigerian educational institution that uses global standards to provide world class education in order to raise a total child. An institution that upholds, instills and inculcates high moral and ethical values in her students and further prepares them for a life of service and fulfilment. This is Corona and this is what she stands for.